There are many midrange smart phones in the market and the competition is increased for many features for the upper midrange phones, which are trickled down to the lower side. The handset, Samsung Galaxy A3 is the excellent example of the blurred lines or it is trying to be. When you check the build, design and specifications of the handset of flagship S series of the company, it stands close to the A series of the company. This smart phone is provided in the market in high price tag and it is reasonably lower than the Samsung flagships. The handset A3 is recently updated and it moves towards the S series and look like the design aimed to copy the dual glass looks of premium S7. Now the clients can look at the new A3, which can justify the price tag. There is expectation of the A series of A3 and it has the attractive design with great attention to give the detail. The viewers will notice the weight of the handset and it allows the premium feel and it is light enough to be comfortable. 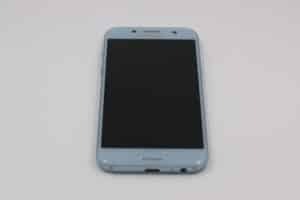 The handset has metal frame and plastic and the rear side is shiny and they can get the mimic glass look on Galaxy S7. The grip of the smart phone is slippery and it is small so the grip is not an issue. This handset is added with 4.7 inch 720p Super AMOLED screen and the resolution of the handset is subpar unless the user is looking at the screen of the handset from 8 inches away and he will not notice the pixels of the handset. It is added with AMOLED screen and they can get deep blacks. The brightness of the handset is pretty high and screen is legible in bright sunlight. When the clients view from the side, they can watch slight green hue and the results in some color deviation is noticed. It does not create problems in daily usage but it is noticeable and the screen brightness can drop automatically, when the users will watch it from the sides. This smart phone is IP68 water and dust resistance rated. If the clients are clumsy, they provide some peace of mind but they do not go to swim with this handset. The handset, A3 is powered with octa core 1.6 GHz Cortex-A53 Exynos 7870 chipset and it is provided with 2 GB RAM and 16 GB storage capacity. The chipset is powerful and it is better than you get with the many midrangers. It gives the excellent performance for games and they run the games at best speed due to its slightly lower res 720p screen, which requires less graphic processing. The clients can run over 4 apps at once with resetting last app and the clients tested the slight heavy Google apps and they were dissatisfied with the performance of the handset. The handset, A3 has excellent Antutu score, added with weak number of Geekbench single core test and they will perform it in multi core benchmark. The PC Mark gave it the acceptable score for different daily usage benchmarks. The smart phone is provided in the market with fingerprint sensor and it is embedded in home button. The sensor is little bit iffy and it does not notice by the finger. It takes about 1.5 seconds from sleep to the home screen and it is not has the fastest around but good enough when Samsung manages to settle the recognition feature. When there is noise of ACs or fans during the summer season, then the users would not be able to hear the audio output. The headphone volume is also very low. There is the issue of sound output, which is bad and tinny. The UI has the noticeable lag and it is great in day to day use. The UI is provided with limited customization and they will have to do some work if they dislike the stock look. The handset, A3 is added with an Easy mode for people, who like to have simpler interface with few settings and it is targeted towards old or illiterate people. The users can find the settings, which are easier to find in Android with new UI. Samsung is provided with game launcher to boost the game performance by limiting the resolution. It can help with battery consumption. The phone is provided in the market with Android 6.0.1 Marshmallow and has the upgrade to Nougat, which is expected in few months. With the provision of Android O around the corner, they will have to see it with Android 7.0 out of box. Colors are good in broad day light and it has excellent sharpness. HDR is enough and it brings no benefits and the viewers will retrieve the lost details. HDR mode is ended up bringing more noise and the scene is looked very well. When the light starts to drop, there is sharp decrease in its quality. The users can make the pictures in the evening but it grew worse when there is darkness and flash cannot help except 1 meter away. It is also added with pro mode on A3 and it allows for ISO adjustment from 200 to 800 and shows the exposure adjustment. Pro mode is subpar and it brings nothing good due to weak sensor. There is default camera app and they can apply the filters by swiping the right on camera screen and it is easy to use the features for those, who like to use Instagram. The front camera of the handset has the features of 8MP sensor and it is provided with nice beautification features like skin tone adjustment, blemishes removal and face slimming and more. The front camera is good to use for the social media and make the selfie lovers not to be disappointed. This smart phone is added with 2350 mAh battery and it is also added with Exynos 7870, 2GB RAM and small 4.7 inch screen. You can watch the extensive battery testing and it is exceeded to all of our expectations. The smart phone got 9 hours and 30 minutes of consecutive use during real life benchmark testing and it is added with video playback, web browsing, video editing, gaming and graphics editing. The brightness of the camera is set at 50% during whole time and in normal day to day use, the viewers will get 6 hours of screen on time and it has 34 hours of standby. If you want to have even longer battery life, then you can get different battery saving modes in Battery settings menu. The handset is added with USB type-C cable without the fast charger. The phone charges the battery in about 1.5 hours. The smart phone, A3 (2017) gives mixed feelings and the asking price of the handset is about Rs.20,000 and it depends on location, from where you buy the handset. This handset is good for the average user, who spends enough time on social media sites and social networking or playing game on the mobile phones and power users will find it lacking. There are some of the things, we liked and disliked the Samsung Galaxy A3 (2017).